Graduation is a memorable moment for all students, but for the 166 graduates from the Andrew Romay New Immigrant Center (ARNIC) on May 31, this achievement was especially significant. ARNIC graduates are unique in that they are all new immigrants who attended a free, yearlong scholarship program through English in Action. ARNIC is pleased to announce the creation of a Facebook Group for ARNIC members. Join this group to stay in touch with past and present ARNIC members, share stories and photos from our events and get updates about ARNIC activities. Click here to join the ARNIC Facebook Group. On November 9, ARNIC hosted an Upstander intervention workshop, where members, tutors and staff learned how to stand up against harassment in their communities. You can read more about the workshop in Voices of NY! This year three members of the Andrew Romay New Immigrant Center (ARNIC) at the English-Speaking Union (ESU) won the prestigious essay competition of The Literacy Review journal published by New York University Gallatin School of Individualized Studies. Read full story. On May 21 the English-Speaking Union Andrew Romay New Immigrant Center celebrated its second year with a graduation ceremony hosted by the Open Society Foundations, financial supporters of the program, at their offices in New York City. Read full story. Today the English-Speaking Union (ESU) announced its support of the first ever Immigrant Heritage Month, an initiative organized by the Welcome.us, a non-profit that is partnering with corporations, media outlets, organizations, celebrities, athletes, faith, civic, and political leaders to gather and share inspirational stories of American immigrants. Read full story. Although the exchange may not mean much to her native English-speaking customers, Ogibalina's ability to play with words is one of many new things she can do after a year of studies at the Andrew Romay New Immigrant Center. Read full story. On April 28 and 29 a group of new immigrants, members of the Andrew Romay New Immigrant Center (ARNIC) of the ESU visited Washington, DC. The trip was part of ARNIC's civil and cultural education initiative. Through trips to landmarks, museums, parks, historical buildings and notable organizations in New York City and beyond these new Americans learn about American culture, history, arts, governance and citizenship. Read full story. The English-Speaking Union Andrew Romay New Immigrant Center celebrated its inaugural year with a graduation ceremony for its first graduates on April 1, 2014. The event was generously hosted by the Open Society Foundations at their offices in New York City. Read full story. We are proud to announce that the ESU has been given a tremendous opportunity to expand our English in Action program and provide more services to recent immigrants on the path to American citizenship. The Andrew Romay New Immigrant Center (ARNIC) is named for the program's instigator and major supporter (pictured above). It will provide a diverse collection of educational, cultural and professional offerings tuition free to help immigrants in need improve their English, gain essential skills and cultural fluency, and develop networks they need to fully participate in American society and exercise the responsibilities of citizenship. Read full story. English in Action Conversations created a Facebook Group to connect with volunteers and students, share stories and stay up-to-date with news about the program. English in Action tutor, Ronald Blumer, recorded the happy chatter of EiA conversation partners during his Tuesday evening unit at the ESU in New York City. The BBC's World Update: Soundscapes made it part of their live broadcast. Click here to listen. Read EiA student Jasem Harari's story published in the New York Times. Read full story. The Marian Siegel Tutor Toolkit is named in memory of a beloved English in Action tutor who passed away in 2012. One toolkit is available for each conversation unit to share among its students and tutors. The Oakland Press covered Serena Newberry, a 2018 ESU Luard Morse Scholar who is beginning her semester abroad at Goldsmiths, University of London. Read full story about Serena, including information about the non-profit she started with her mother and sister. Retrospection is always so enlightening. I prepared to go to Oxford a few short months ago and while I was prepared to have somewhat of a "life-changing" experience, no amount of preparation could have gotten me ready for the friendships formed, the knowledge gained and the shift in perspective that resulted from spending a semester abroad. Read full story. The ESU is proud to announce that Talia Sharpp, a Political Science Major from Broadview, Illinois, and Adaya Sturkey, a Biology Major from Marion, South Carolina, both students at Hampton University in Hampton, Virginia, have been selected as this year's recipients of the English-Speaking Union Luard Morse Scholarship. The scholarship provides $25,000 toward one semester of study at any university in the United Kingdom during the 2016-2017 academic year. Read full story. Luard Morse Scholars Allyson Carpenter and Laura Campbell talk about their expectations prior to studying at the University of Oxford. Read full story. March 26, 2018 -- It might be another decade before they can run for political office, but the students of Moore County's post-millennial generation are learning to make their voices heard. "Ti Ames loves William Shakespeare. Or rather, Ames loves the plays of William Shakespeare. It's a love that started when Ames played a fairy in The Tempest at Live Arts at age 9, and it grew when, at 16, Ames became the first black actor to win the English-Speaking Union National Shakespeare Competition in 2012. Now 23, Ames loves how Shakespeare's verse feels alive like a heartbeat and its ability to "make people feel something more than they have ever felt" in a single moment. "Palm Valley student Jackson Dean last week became the first acting student in Coachella Valley history to win the national Shakespeare Competition sponsored by the English-Speaking Union at Lincoln Center in New York. "Elias Owens, a senior and student of Regina Darling from Penfield High School, was awarded second place overall at the National Shakespeare Competition. This is the first time in the three-decade history of the Rochester Shakespeare Competition that its winner was one of the national finalists. In taking second place in the national event, Owens was awarded a full scholarship to the American Shakespeare Center Theatre Camp in Staunton, Virginia. "Against the dusty rose wall panels of Cole Auditorium stage, 17 students from nine high schools performed their best Shakespeare soliloquies Wednesday. 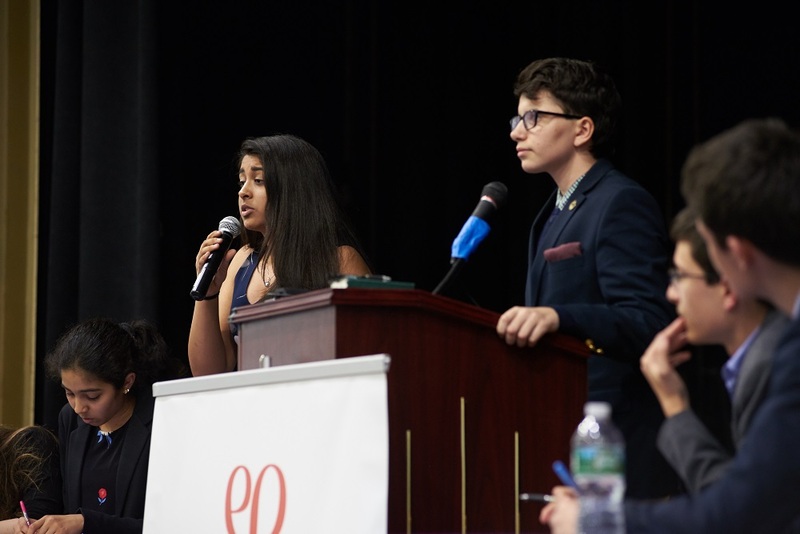 Edmundo Ortiz '18 is headed across the pond for a once-in-a-lifetime educational opportunity as an English-Speaking Union Secondary School Exchange Scholar. The ESU gratefully acknowledges the generosity of the following donors whose support helps make the Secondary School Exchange program possible. "The English Speaking Union Greensboro Branch is offering a $2,700 scholarship to a high school teacher in Guilford or an adjoining county to study with TLab in the summer of 2019. Selected universities include Oxford University, University of Edinburgh and Shakespeare's Globe. Teachers who are interested should call 336-294-9177 for an application form. Jennie Wright will definitely have a summer to remember. Wright, AP and English IV teacher at Parkway High School, is the recipient of a scholarship that allows her opportunity to study at Exeter College in Oxford (England). The ESU Travel and Learn Abroad scholarship offers her the "opportunity of a lifetime." "I am way beyond excited," Wright said. Gary Mendoza, who also mentors students to compete in the annual Shakespeare Competition, will head to London for the program this summer thanks in part to the English Speaking Union of the United States [ESUUS], which provided the New Orleans chapter scholarship. Read full story. Ethan Warner from Platt High School is sponsored by the Greenwich branch of the English-Speaking Union to attend the "Teaching Shakespeare Through Performance" workshop. Read full story. 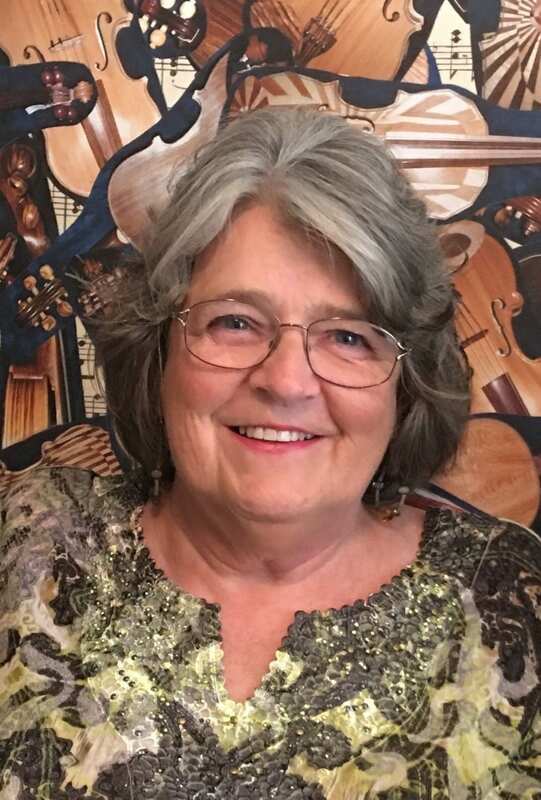 The English-Speaking Union St. Louis Branch named Janet Trueblood Baldwin Heptig a BUSS Fellow, enabling her to study at Exeter College this summer. Read full story. Five outstanding educators from Central Florida have been awarded 2013 British University Summer School Scholarships in 2013. Read full story. Find out more about the English-Speaking Union Central Florida Branch here. I am excited to infuse what I have learned into teaching my Contemporary America, Sociology, and American History students.... Here at Oxford, the academic program is complimented so well by the social environment. My peers in the program are a diverse group of dedicated, interesting scholars from very different places and careers. I cannot express enough thanks for the opportunity the ESU has given me to participate in this program.